My friend Don has been playing uke for years, and long before the trendy uke movement started he was punking out a progressively cooler set of little instruments and trying to turn me on to the beauty of Cheap and Available over Waiting For Just The Right Thing. At least on the instrument front. 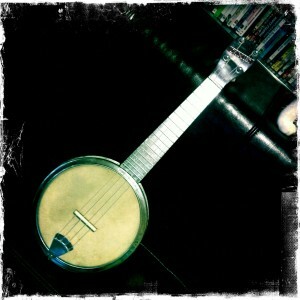 A few months ago I thought I’d finally found Just The Right Thing – the steel banjo uke pictured here. It appealed to my desire for something out of the ordinary just enough that I didn’t notice that it’s less an instrument than an industrial-grade toy. It’s not built like a stringed instrument at all, with a fretboard, embedded frets and a separately attached headpiece. Instead. 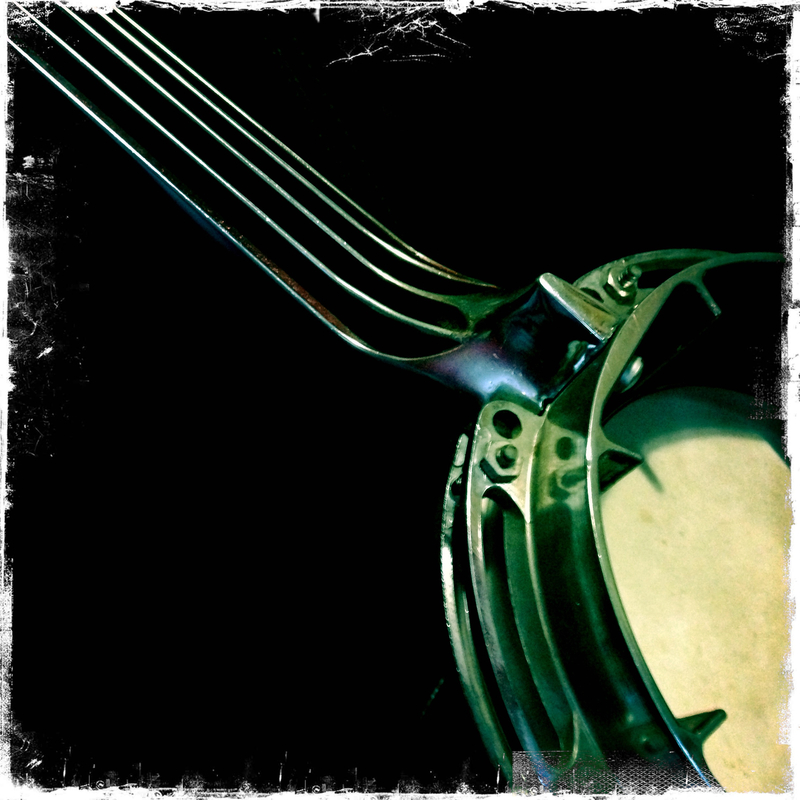 it’s made of two steel castings: one, the round sand-cast body, and two, the neck, frets and headpiece are all a single casting, with holes milled in to accommodate the tuning keys. 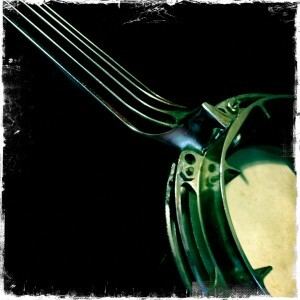 The neck is bolted onto the body and strings are added. It’s not so much crafted as stamped out, like a car part. But it’s pretty cool nonetheless. In fact, it has the coolest case ever. A couple weeks before I found it I found a pile of old Milwaukee Sawzall cases at a yard sale and bought 7 of them. One was a perfect fit for this instrument, so I got some foam and some black velvet and that’s what I carry it in. And as we just heard Amanda Palmer perform Ukulele Anthem over at Bard College that seems like the song to start on (it’s my first Uke song). So, not really sure what I’ve learned today. I definitely learned a song, at least imperfectly – and it being a song designed to play any way you like, that is a kind of perfection.